Sales of the entryway bricks that will be in place for the grand opening of the new library are complete. Over 250 bricks in varying sizes have been purchased and will be installed within the next 2 months. 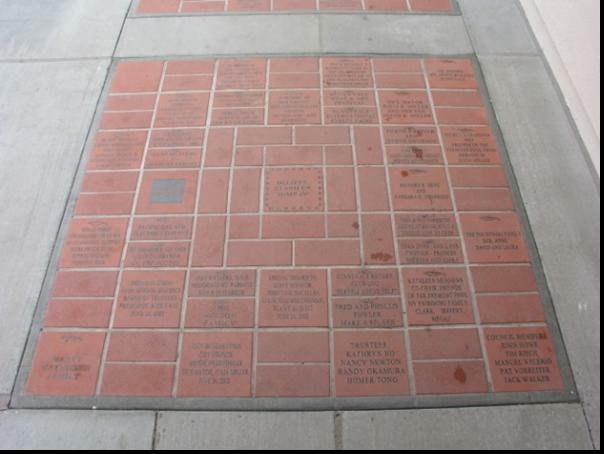 Many family, business and tribute bricks were purchased and will be artistically set to create a beautiful and welcoming entry. If you missed purchasing a brick don't worry! You can still purchase a piece of the library that will be installed in another part of the walkway or in the back patio which we hope to start within the next year.